South Korea’s largest gaming publisher Nexon Co. is set to roll out 10 more new mobile games, including all new titles and mobile adaptations of its existing or foreign online games, until June, a move that is expected to help Korea’s No. 1 game publisher widen the gap with its rivals. 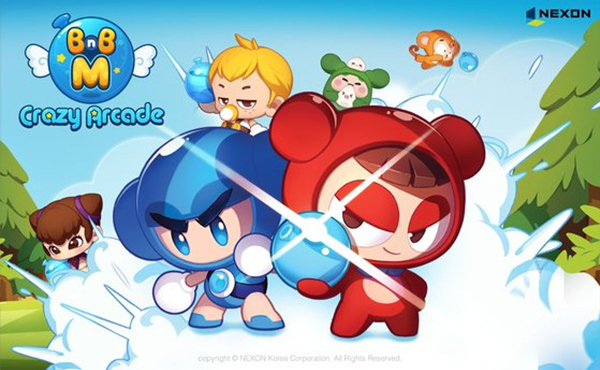 In a press conference in Seoul on Tuesday, Nexon unveiled its plan to release Crazy Arcade BnB on March 21 globally, with hopes that the mobile version of its classic online game Crazy Arcade would repeat the original’s success. The Kingdom of the Winds: Yeon, a mobile version of the company’s another classic game The Kingdom of the Winds, is also in the pipeline for the summer. Nexon will also launch all new titles and foreign games. A role-playing game (RPG) LYN: The Lightbringer, newly developed based on its own intellectual property (IP), is ready to hit the Korean market on Thursday. It aims to roll out a mobile version of action RPG Magia: Charma Saga, developed by Super Acid, in Korea and other markets in the first half of this year. Godzilla Defense Force, which uses Godzilla IP owned by Japan’s Toho Co., is set to hit the Korean market in May. 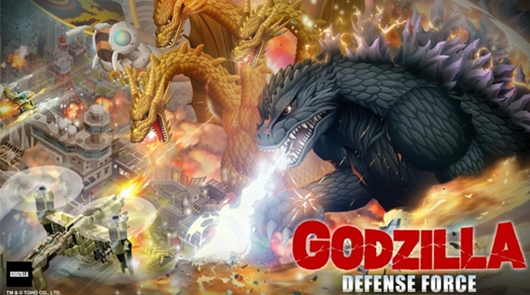 Godzilla Defense Force, the newest work to be published by Neople Inc.’s Studio42, offers users an adventure of defending major cities against 100 types of monsters from the Godzilla series by building base stations and making them become more powerful. SINoALICE, an RPG being serviced in Japan, will be also introduced by Nexon in Korea and other global markets in the first half of this year. The company’s mobile games that have been widely enjoyed in Korea will be introduced to foreign audiences. Durango: Wild Lands is expected to hit the global market, excluding China and Japan, in the first half of this year. Nexon will also receive pre-orders for its popular mobile action game OverHit in 150 countries by June and release MapleStory M in Japan in April. Nexon already released four new titles, including massively multiplayer online role-playing game (MMORPG) Spiritwish in January, Dark Avenger X and RunningMan Heroes in February, and Runway Story in March, so far this year. Combined with the four new titles, Korea’s leading game publisher will be launching total of 14 new titles in the first six months of this year, which is way above the industry average. The company hopes to retain fans of its games and attract new gamers by providing more diverse experiences with a wide range of games in a variety of genres. Its aggressive move to release many new mobile titles in such a short period also comes at a time when its holding company NXC is in the limelight with the race to win its 98.64 percent stakes up for sale building up to big-time competition.